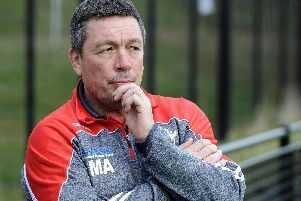 Sheffield Eagles director of rugby Mark Aston says he needs to find a way to inject some fresh blood into his side as he goes in search of some much needed additions. Injuries have taken a stranglehold on Aston’s selection policy in recent weeks, while he was damning of his side’s efforts in what was another heavy defeat at home to London at the weekend. Whilst Aston admits that his hands are largely tied, the long-serving coach says he will be out looking to see if he can unearth something, stressing he believes he needs more leaders with senior figures such as Simon Brown, Matty James and Matty Fozard all sidelined. “I’ve got my captain and vice-captain out. They are honest guys, good leaders and against London I didn’t see many leaders,” Aston admitted to The Star. “We didn’t have players out there with those skills. Can I change it massively? Not really. “I have got Matty James out, I have got Matty Fozard, Josh Toole and Corey Makelim out. “These are good kids, and they will come back into contention again obviously. “I need to find some diamonds. I don’t know where from at the minute, but I will be looking and I’ll try because if not I will end up going insane. The Eagles have been decimated in the half-back positions with Cory Aston recalled from his loan by Castleford Tigers, coupled with injury to Brown who could still face another three to four weeks in the treatment room. Aston vented his frustration that his game plan was not followed against the high-flying Broncos, giving an honest appraisal of some of his players, again questioning the desire of his depleting group. “There are talkers and they are doers,” he added. “We have one or two talkers in there who probably aren’t respected because they talk, but they don’t deliver.